Well, dear friends, we continue to rejoice and give thanks unto our Lord for His continual answers to our prayers. We just wrapped up an older boys camp – that we didn’t even think would take place just a little over a week ago! You see we had come up shy of enough male staff to accommodate having any of the campers that we had on our list that wanted to come to camp! But, the Lord provided – and we were able to fill two cabins full of boys and have a fun and spiritually beneficial week after all. It was another wonderful time! They learned their verses. They sang the gospel songs (all the way back to the city). They were – by God’s grace – providentially delivered into the proclamation of the gospel! Praise the Name of the Lord! It is such a grand thing to witness the testimony of God’s presence and provision. Please continue to pray for us as we continue to press on for the glory of Christ! Please do not forget to pray for the staff and children that are scheduled for the rest of this camp season. These hot blistering days can be tough to endure! Your prayers are a source of strength and comfort so we can get through it. A double wide mobile home has been delivered to Del-Haven for the family of Jeff Hall. Please pray with us for Jeff – and the men that are busy working — to get his new home completely ready for him and his family to move in. 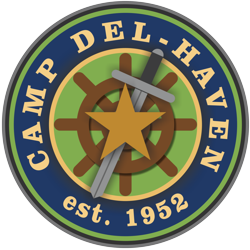 This is yet another new chapter in the history of Del-Haven! A lot has been done – and is getting done — but there is still a whole lot that needs to be done. Nothing is too hard – or, too wonderful – for our great Savior. Jeff definitely needs your prayers – and whatever help you can give him. He will be a wonderful asset to have on the camp premises!